Lot voor Leven means ticket for life. This is a charity lottery that is organized for the KWF Kankerbestrijding. All profit of this charity will be given to the KWF Kankerbestrijding. The organizers of this charity lottery ask me to make a logo for them and I am glad to help them. Be sure to help this charity lottery to help KWF Kankerbestrijding to help people who got cancer. The price for each ticket will be 2 euro, it is little but it can do allot for the people with cancer. 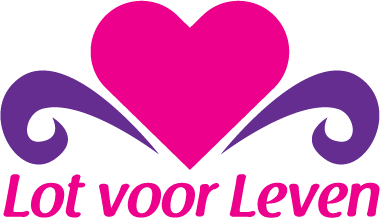 The link is http://www.lotvoorleven.nl.